In quiet, candid response to this British article which asks but does not dare answer "Why is there no looting in Japan? I'll answer it. And maybe my answer won't be so quiet - but it will be candid. Because, regardless of race, color, creed, religion or what have you, the Japanese Culture is a culture of honor and respect. My Culture in America has become, regardless of the above, a bunch of disrespectful, "I'll take what's mine, and you shut your damned mouth" louts. In my city, a heated discussion between any given lower-income, under-educated beer-drinking (or other-wise high) persons (pick your race), is likely to end up with a stabbing or shooting later that same night down the street. 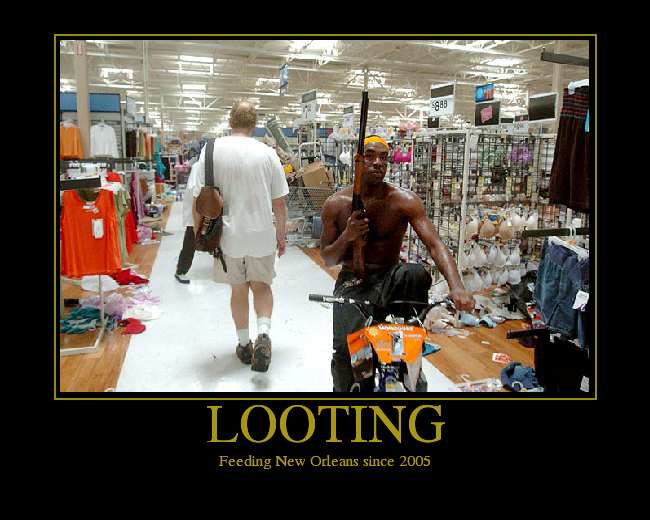 These are your looters... These are the folks who are fully entitled to buy a gun until they murder or shoot their their first human being. These are the folks we want to try and catch as early and possible in school to teach them right from wrong... even if their parents will not... but that's another blog. And to you folks who would give a whining answer about the unequal incomes in America... 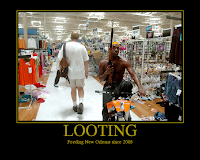 I will answer that even those with the lowest incomes in Japan *still do not loot* during even during the worst of crisis.